Flash Ingram is a variation of Ingram that has a similar ball form to Neo Dragonoid and Orbit Helios. 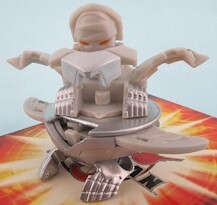 It is part of the Bakugan Special Attack Series. Its Special Attack is Vortex. It may be a BakuMetalix Bakugan. Purchase your Flash Ingram from Amazon now!